We celebrate our famous spektro puzzle anniversary with this top-notch game ¿really? Yes, a full free game for you. Connect parallels blocks and destroy a lot of lines or columns. Remeber, any polygon can explode. Train your brain and mind in this retro retro puzzle game and discover Polygon Planet. You will must walk through of swamp, minion's lair, city of villains, fire temple, flex village, epic castle of jigsaws and a lot of rare places. You can use your arsenal: a collection of boosters to win more prizes. Use magic spells to destroy parallels blocks like a banana inside the mouth of a monkey. Throughout your adventure you will discover different addicting games full of epic challenges . Compete in our online ranking, fight against minions and complete polygon jigsaw. All for free. A free marvel game to invest your time. Enjoy it! Remember: "the art of anticipation is the patience, observation and awareness"
- CHALLANGE MODE . Overcome your own online , and local records. Participate in the online ranking and shows who is the best. Become the King Polygon . - ADVENTURE MODE . 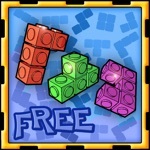 Discover addicting minigames : time games , block games , brain games, puzzle games , math games, etc .. Collect stars to increase your bonus points. 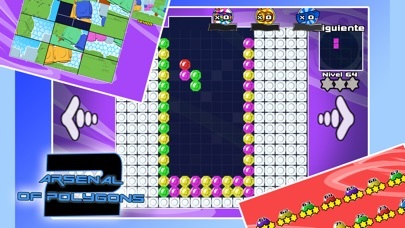 Get super polygon blocks and unlock new stages. - NEW POLYGON BLOCKS. Unlike classic games in this puzzle there are polygons from one block to sixteen blocks. An epic challenge to your brain. 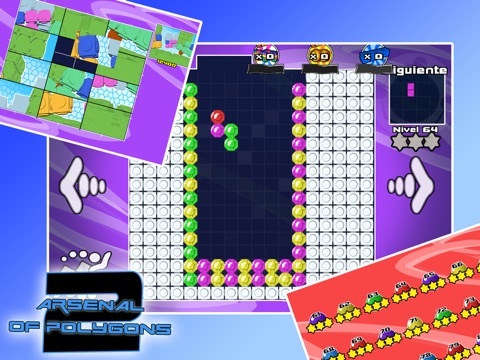 - BECOME THE MASTER OF THE POLYGON JIGSAW : By completing the addicting minigames you will receive stars , each star is awarded for getting a higher score . It shows that you have not only beaten the game , but you're the Super Master of the minions. - NEW BOOSTERS : Amazing Arsenal of Powerups. Discover the Gaia Power inside this powerups. Use your boosters arsenal to destroy parallels blocks, a marvel of the science. - DAILY CHALLANGE: Every day you can complete a new jigsaw to win a lot of coins. This is the best free way to buy boosters in our polygon shop. 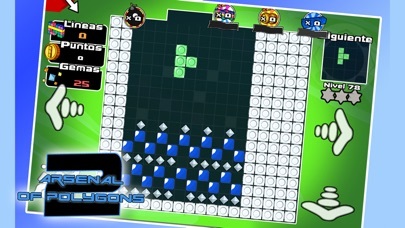 First of all thank you for playing this puzzle inspired by retro masterpieces like tetris, columns, puyo puyo or dr. mario . We loves kotaku revies, but we haven't. We are waiting for a kotaku review. We hope have one kotaku review one day. - MODO COMPETICIÓN. Supera tus propios récords online y local. Participa en la clasificación Online y de muestra quién es el mejor. Conviértete en el Rey Retro. - MODO AVENTURA. Descubre minijuegos: juegos de tiempo, juegos de bloques, juegos de memoria, juegos de rompecabezas, etc.. Acumula estrellas para aumentar tu bonificación de puntos. Consigue super piezas y escenarios nuevos. - NUEVAS PIEZAS RETRO. A diferencia de juegos clásicos, en este puzle existen piezas desde 1 bloque a 16 bloques. Todo un desafío a tu capacidad mental. - CONVIÉRTETE EN EL MAESTRO DEL PUZLE: Al completar los minijuegos recibirás estrellas, cada estrella se otorga por conseguir una puntuación más elevada. Demuestra que no sólo te has pasado el juego, sino que eres el Super Maestro del puzzle. 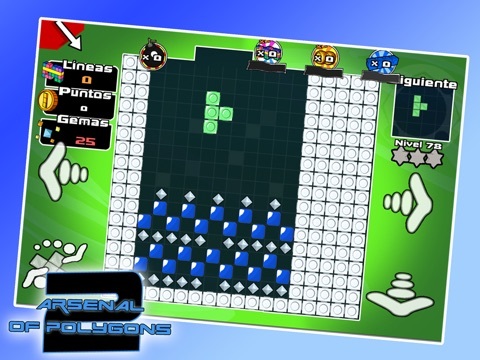 Ante todo muchísimas gracias por jugar a este puzle inspirado en obras maestras como el tetris, columns o dr. mario.